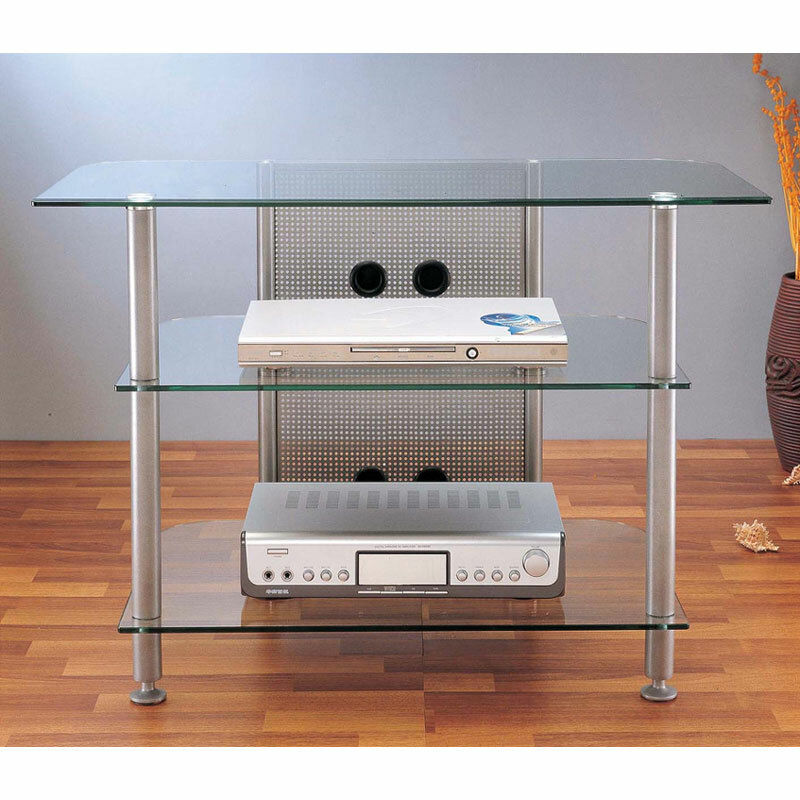 More on the VTI AGR Series 37 inch Glass Flat Panel AV Stand (Silver) AGR37S below. Call a VTI AV rack specialist at 1-800-807-1477. Gorgeous looking TV stand/ Audio Video Rack with beveled temper glass shelves. Perfect for mid and small size DLP, Plasma, and LCD TV sets. 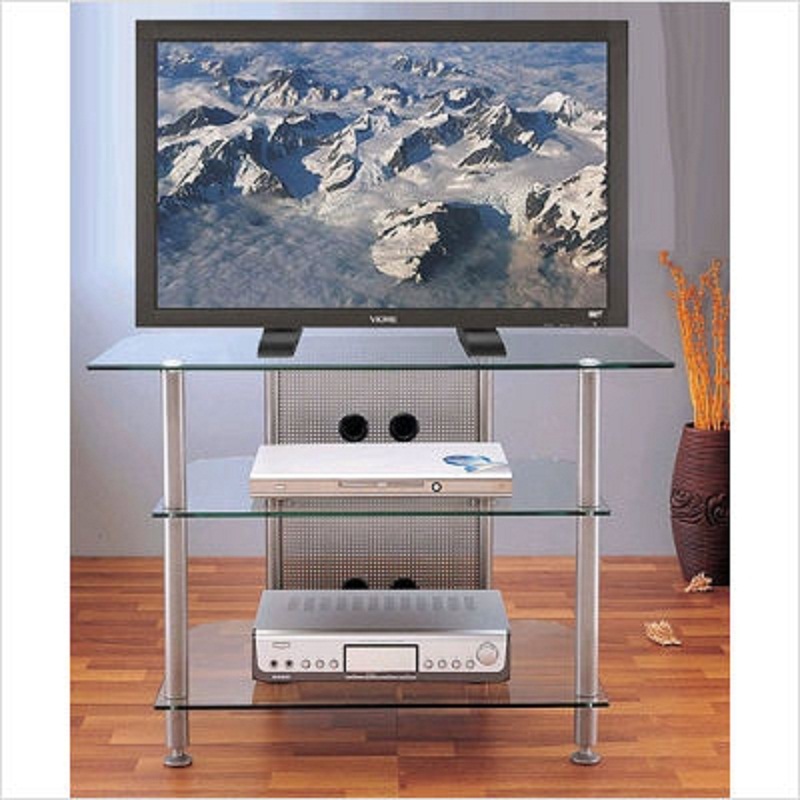 Accommodates up to 37 inch LCD TV set and 2 audio/video components. Available with black or silver poles. Top shelf: 37"W x 19-1/4"D; Supports up to 150 lbs. Middle shelf: 29"W x 18-1/2"D; Supports up to 100 lbs. Bottom shelf: 29"W x 18-1/2"D; Supports up to 100 lbs.